Goodreads Synopsis: The Fault in Our Stars meets Eleanor and Park in this exhilarating and heart-wrenching love story about a girl who learns to live from a boy who intends to die. 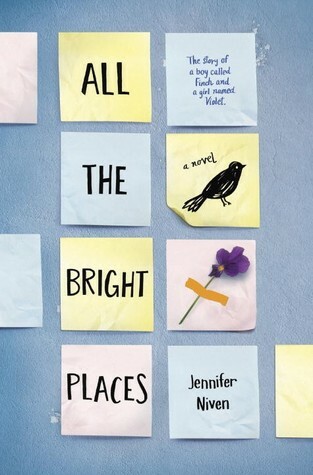 All The Bright Places by Jennifer Niven was such a heartbreaking, roller-coaster-of-emotions type of book. 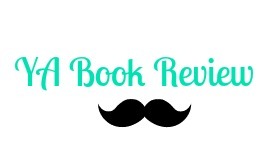 I was blown away on how amazing and touching the book became for me as I was reading it. Definitely pick this one up if your looking for a TFIOS-esque book, Niven does a great job of telling a tragic love story. The book alternates between two main characters; Violet Markey, a girl who's counting the days until graduation, ready to escape her life. And Theodore Finch, a boy was is enticed by the idea of death, but never actually commits suicide. Niven weaves the two together when Finch saves Violet from a "fall" off the school building. I loved how I could easily distinguish which character was who as I was reading. It was so easy to get sucked into Violet and Finch's mind. Each one had faced so many struggles (Violet dealing with her sister's recent death and Finch dealing with his fascination with death) that draw them together. I liked seeing their relationship comes full circle and as you read more and more into the book, get ready to be an emotional wreck! Niven crafted such a great novel, it's bound to hit home for any reader. One thing I liked about All The Bright Places was its message about living life to the fullest. Finch made Violet do things she never saw herself doing and was inspiring seeing them take risks because life's too short to play it safe. The book was also blurbed as for "fans of The Fault In Our Stars" and I think it does have similar elements, but Niven's book stands out by two very special characters that easily moves the reader. Overall, I loved All The Bright Places it was such a refreshing yet heartbreaking (the end!) read. I love Finch and Violet and the book was such an inspiring reader, cannot wait for the movie! Elle Fanning will kill in this movie! I'm excited for the movie too, although I'm not sure I'll be able to sit through it without bawling my eyes out haha. Great review! I still haven't seen TFioS movie. Would rather sob in private! I have a feeling I will be in the same boat when I read this. I really should hike up my skirt and just dive in! This book was pretty sad. Great review!